Blink(1) mk2 is a small USB light to give you glanceable notice of anything on your computer or the internet. 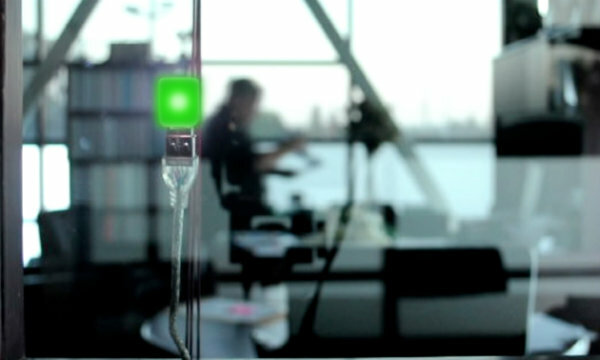 Blink(1) mk2 is an updated version of the blink(1) super status light. 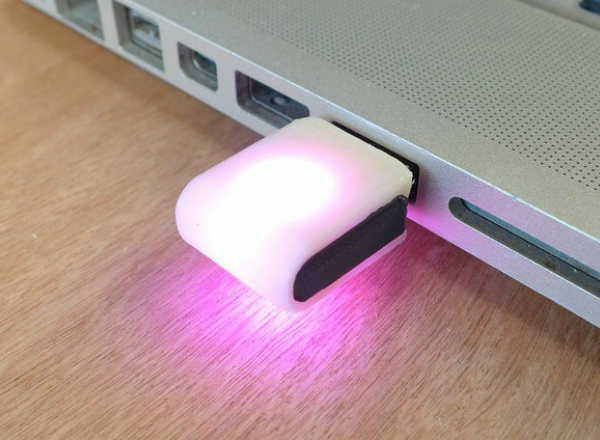 The original blink(1) made it easy to connect any data source in the cloud or on your computer to a full-color RGB LED so you can know what's happening without checking any windows, going to any websites or typing any commands. blink(1) mk2 maintains backward-compatibility while adding better functionality and great new features. 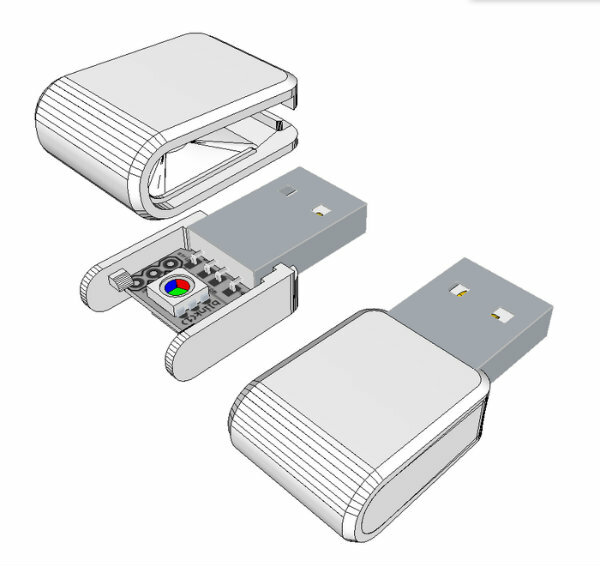 Blink(1) mk2 uses a more powerful microcontroller that works on more USB systems. Comes with Dual RGB LEDs and Blink1Control app with improved IFTTT support. Seeks funding at kickstarter.